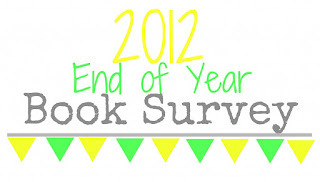 Jamie at The Perpetual Page Turner is hosting this awesome end of the year survey. Check out the survey page to see all the link-ups from your favorite book bloggers! This one is just about impossible to answer. And since I've already named my favorites of the year in each genre, I'll go ahead and try to limit it to one. I'm going to say that my favorite this year was How to Be A Woman by Caitlin Moran. Cinder by Marissa Meyer. I was so pumped when I got it and so let down when I read it. 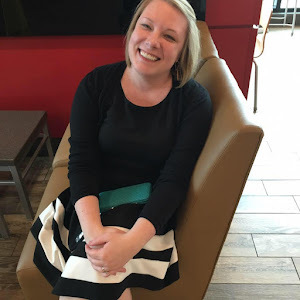 The Queen's Thief series by Megan Whalen Turner. This was a total spur of the moment read based on what was available at the library on the day I was bored and looking for an ebook - and I am convinced that it was Providence! And as a PS: I am super annoyed with all of you who have not listened to me and read these yet. Honestly, I find this hard to answer, because I read such a wide variety of genres. I think Spark by John Ratey could qualify for this though, as exercise isn't something I typically read about. Another could be Black Dahlia and White Rose by Joyce Carol Oates. 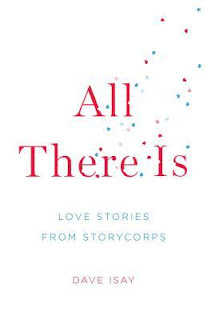 I love short stories, but in looking back over the past few years it's something I haven't read much of. I almost never reread, but I can see myself going through How To Be A Woman again. 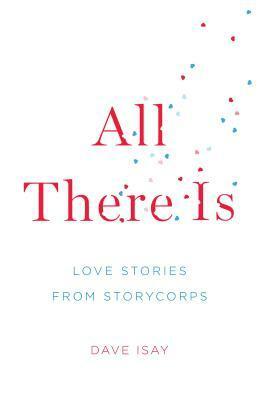 All There Is by Dave Isay - I've put in a picture, but honestly you have to see the white cover and the embossed tiny hearts in real life to get what an amazing cover it is. Luke has been asking me to read this one forever and I finally caved. SUCH a good decision! I'm really bad with quotes - I don't have any noted or written down. I loved Zuzana and Carou in Daughter of Smoke and Bone; Big and Mosey from A Grown-Up Kind of Pretty; Beth and Jennifer in Attachments. Gotta be the Crimson Crown books. Joyce wins best book-recommending friend of the year for pushing these relentlessly! I don't really have one - I'm pretty pleased with all of my reviews. I liked "I May Be Judging You"
I actually really appreciated the discussion at Stacked that stemmed from "The ARC Stops Here"
We Need To Talk About Kevin (Movie Review) is far and away the all-time most popular post this year and probably of all time. It's kind of weird. My rearrangement of the bookcases post. My Sony e-Reader. I am obsessed. My goal was to read 125 books - I wound up finishing with 138! All of them? I honestly can't pick just one - I read based on what I'm interested in at the moment, so I rarely plan ahead and prioritize. I'm looking forward to finishing the Divergent Series. Keep up with reviews! I'm still behind with last year's reviews, so who knows if this will happen, but it would be so nice. As far as numbers go, I'm going for 130. I'm adding some of these to my TBR list. Thanks for posting. Let me know if you read any of them! I'd love to hear about it!